‘Wow, Pedro! What are you going to to with ‘so much money’!? 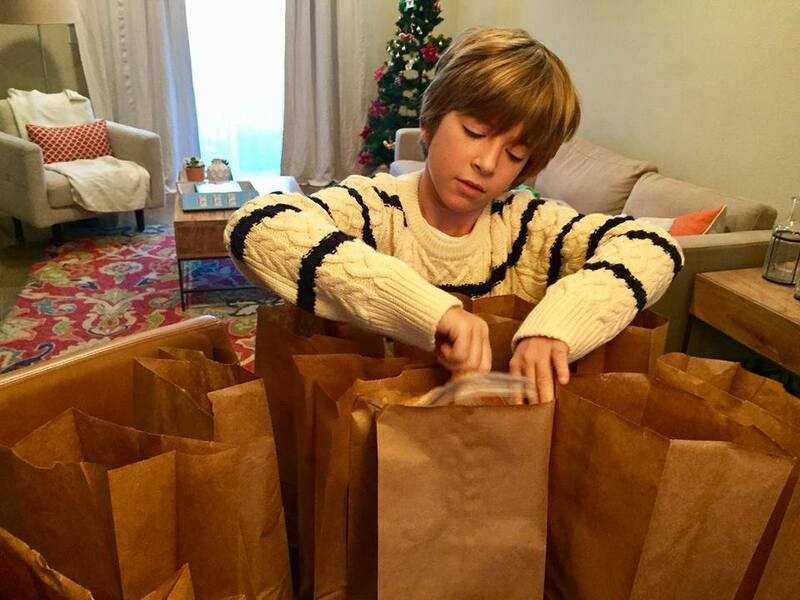 It was then that Pedro told his mom he’d love to make some snack bags and distribute them among homeless people. Marcella and Carlos; Pedro’s dad, gave the boy a bit more money and a few days later, the three of them were in a corner somewhere in San Francisco, distributing hope in a bag! Great attitude and compassion. Pedro putting a ❤ the Valley! This January, Marcella opened a Facebook page and Hope in a Bag was born. 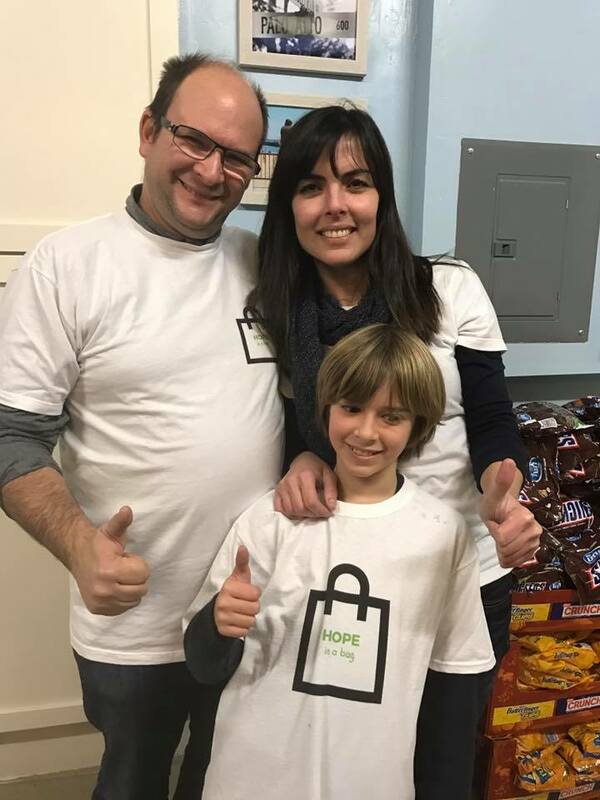 The family invited friends and everyone to join in their next Hope in a Bag act of kindness. 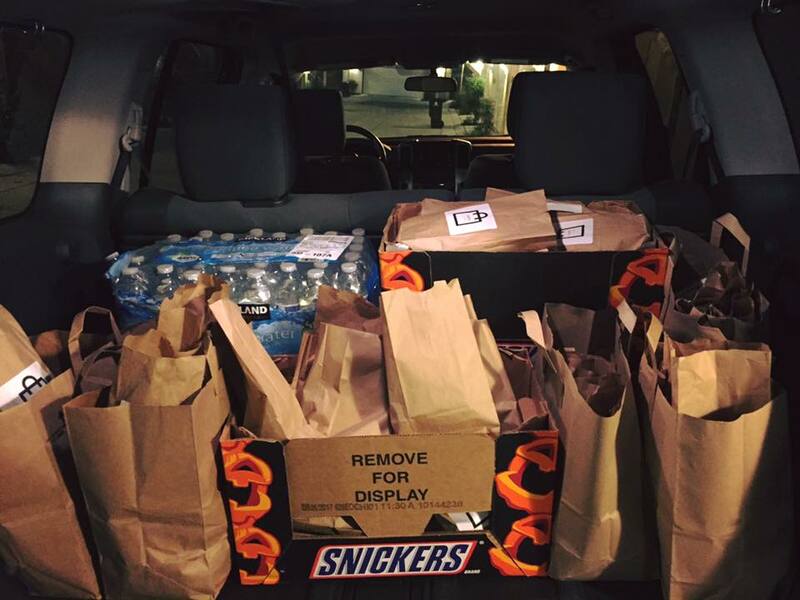 The goal was to make at least 100 bags and deliver them next day in the streets of San Jose, CA. But there was a catch to this one: it was a child-labor-service only. Not the adults, but their children were the ones completing the task from beginning to end. 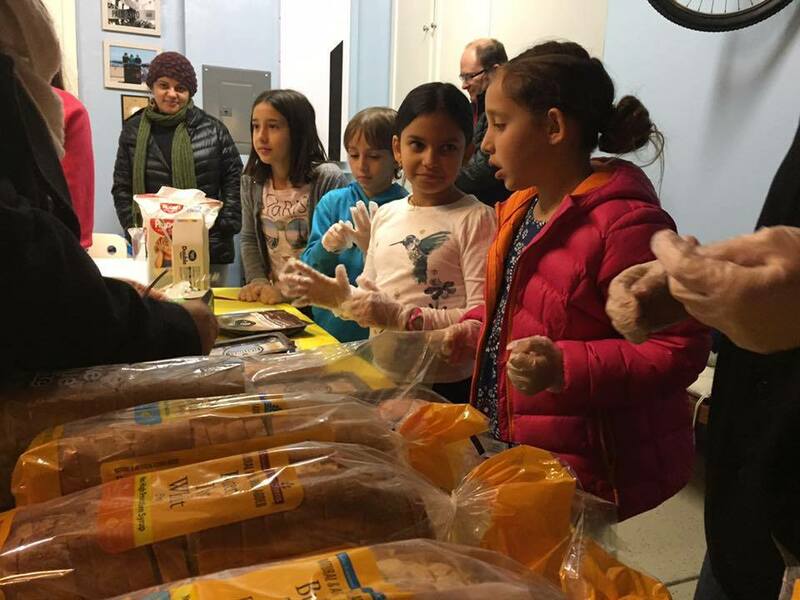 On January 6th, at Pedro’s garage, in Mountain View, there were about 30 people and a production line of charity and love. 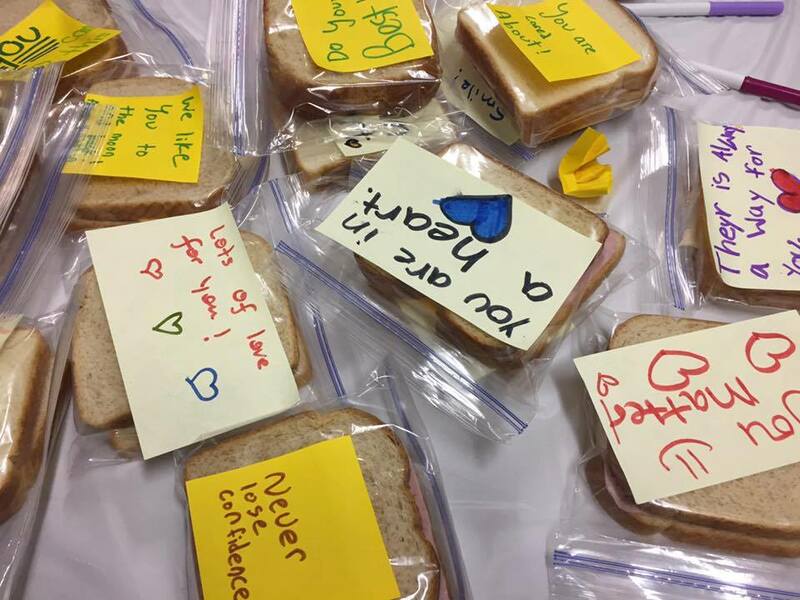 The children were hands-on: they were the ones making the sandwiches, writing lovely notes, sorting out the goodies, labeling and filling in the bags. They were having fun by being so involved and creative. Marcella was great with the children and she would say things like: ‘Let’s send them not only food but also our love in these bags!’. It was an incredible experience for all of us: for the parents who had an opportunity to teach compassion to their kids, for the kids who felt important and needed in such a nobble cause and for Pedro and his family who witnessed how far Pedro’s $21 were able to reach! 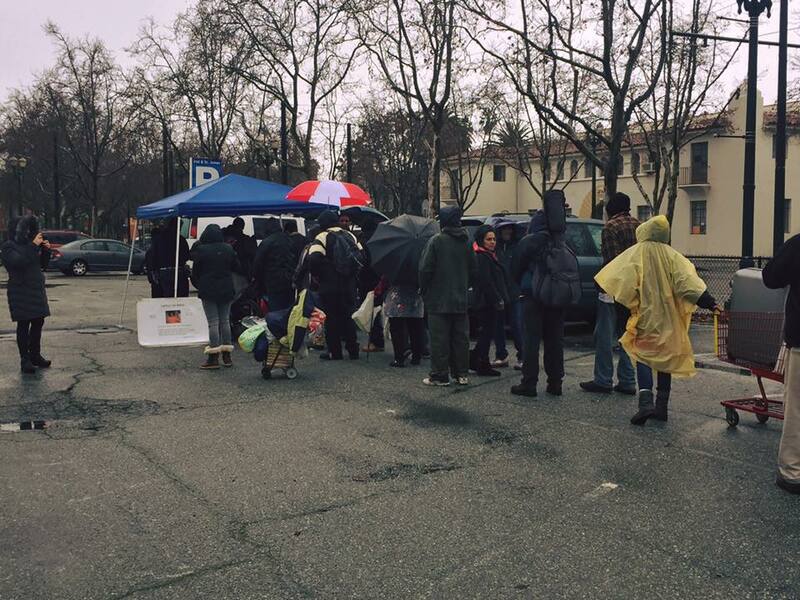 Distribution day – the rain did not stop the kids at work. This admirable initiative carries on. Pedro and family are determined to make a difference in many lives here in the Bay Area. February is already booked with action and in March it is time for the Teens to show up and do it all – Hope in a Bag 4 Teens! Would you like to get involved and help out Hope in a Bag?! You can donate money, food, personal hygiene items and much needed: socks! Just contact Pedro , Marcella or Carlos hopeinabag@hotmail.com or go to their Facebook page Hope in a bag. We are sure Pedro’s love will reach many around here! And why not to see more initiatives like this one, all over the world? Want to know how? Go to Hope in a Bag see it for yourself! Congratulations to Pedro, a good-hearted-boy who is offering us all the gift of giving. Congratulations to his parents who are contributing for a better world in making of their son a great man. 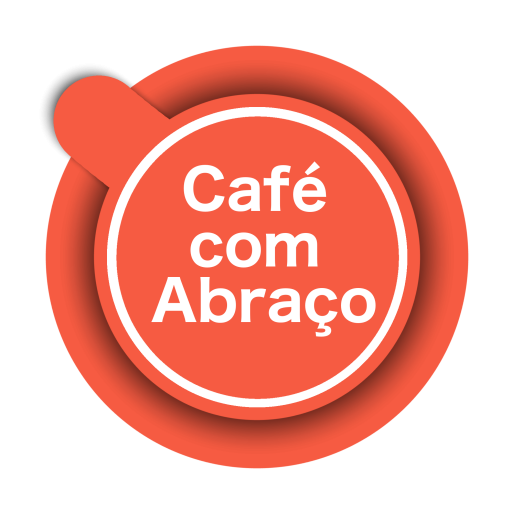 This entry was posted in English, Putting a heart in the Valley and tagged Brazilians in Silicon Valley, Brazilians in the USA, charity, Children, compassion, homeless in Silicon Valley, Hope in a Bag, Parenting, San Francisco, San Jose. Bookmark the permalink. 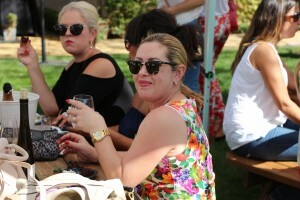 ← Hope in a Bag – Colocando ❤ no Vale e além!